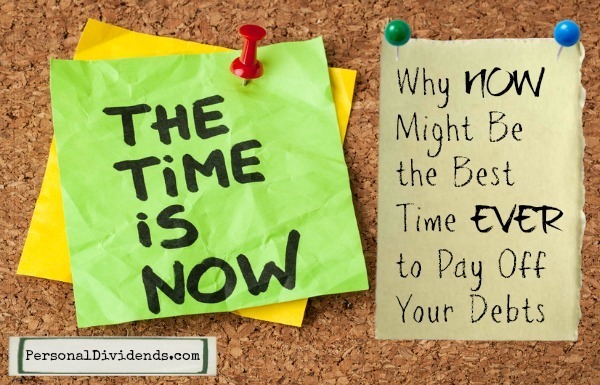 Paying off debt is always a good idea, but now might be the best time ever to make it happen. The interest rate environment is in a state of flux, and could remove many of the advantages that have come with borrowing in the past few years. Now that the US Federal Reserve has announced that it will be pulling back on it’s “Quantitative Easing” program of buying up government debt and mortgage bonds, rates in the US are likely to begin rising. As they do, this will probably have a domino effect on interest rates around the world, including Canada. While the jury is still out as to whether or not the Federal Reserve will end it’s intervention in the bond markets completely, rates have already increased just on speculation alone. This could mean that interest rates can surge as quantitative easing actually does come to an end. This isn’t to say that interest rates will become unsustainable for borrowers, but only that the potential is real that they will reach less comfortable levels. Just about any reason is a good one to begin paying off debt – but the prospect of higher interest rates should sound the alarm bell. You won’t be able to borrower as cheaply in the near future. Since credit cards typically carry floating interest rates, they will be most affected by changes in the interest rate picture. The low interest rates of the past few years could move back into the high double-digit range very quickly – and stay there for a long time. Now is the perfect time then where you can either pay off your credit cards as quickly as possible, or convert them to low interest fixed-rate debt. That will give you an opportunity to move your revolving debt into a fixed-rate based on today’s still low rates. Home equity lines of credit (HELOCs) fall into much the same category as credit cards in that they usually carry floating interest rates. And like credit cards, the rates will most likely rise as the general rate picture deteriorates. It’s not always so easy to payoff HELOCs quickly, due to their usually larger size, but you can still convert them to fixed-rate debt. You can do this either by converting your HELOC into a new fixed-rate second mortgage, or by doing a straight up refinance of both your first mortgage and your HELOC. In that way, both loans will be combined under a single, fixed rate mortgage, with a very low rate. They make it more difficult to obtain new debt, which is a common way that borrowers service their existing debt. The combination of these two factors causes an increase in overall loan defaults. Lenders typically react to this by raising credit standards – and that makes it more difficult to borrow at all. For that reason, if you have to do any kind of debt refinancing, now is the time to do it. Rates are still low, and credit standards are well known. But if interest rates should rise a few points, there is no telling how easy (or hard) it will be to borrow one or two years from now. Historically, the state of the economy tends to run in lockstep with interest rates. Or better put, the economy runs inverse to the level of interest rates. When interest rates are low, the economy grows and thrives. But when interest rates rise, particularly to a significant degree, it often results in recessions. We don’t know how high interest rates will go, but if they do rise substantially, a downturn in the economy is possible. Recessions mean layoffs and tighter lending standards. But they can also mean that will be more difficult to save money that can be used to pay off your debt. Right now, with a robust economy and low interest rates, there are plenty of options to either pay off your debts or refinance them under more favorable terms. Take advantage of now to make that happen – we can never know what the future holds!